Which would you rather defend. The one with the best art work. What are these immediate causes you speak of? . I’d be providing meals in more accessible places more often for the homeless and the poor. Funding more outreach and health resources for youths at risk of homelessness. Increasing funding to medical research and post-doc grants. What about a free clinic running out of the cathedral? I’m sure I can make a bigger list if you want. The interest behind the relics, art and artefacts lends little to the work and words of Christ. Why not make the renewed Notre Dame an active centre for good deeds through the funds? Why not make the renewed Notre Dame an active centre for good deeds through the funds? I think you just hit on the ongoing tragedy of modern religion in a nutshell. I think that's the worst part of all of it. 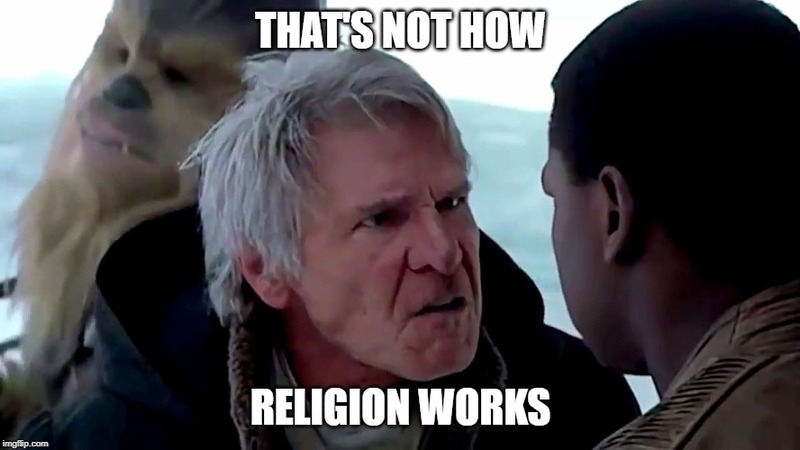 You can see where the authors of religious texts were trying to make the world a better place but all of them are so fatally flawed as institutions that the good works they were intended to inspire just never outweigh the evil done by exploiters of the religion. Of course, these exploiters come chiefly from their own clergy. I love most people. I'm a get-a-long type of guy. I usually look for a way to make friends first and foremost but some folks just can't be reached. Their version of friendship is all taking and the giving is limited to the crumbs of their leavings. They buy private jets and let their parishioners pay to give bibles to the poor as long as there's also a recruitment push. They spend money on advertising their brand, not good works like feeding and housing. It's always join my church, give to me, elevate me, I promise you the world while you watch me eat it to on a silver platter. That's what religion is today in the West. If they want to rebuild Notre Dame and preserve this piece of history as a museum, I think that's as good a use of their money as any. I’ve thought about becoming a preacher and starting a church for the tax breaks and obvious benefits of people handing over their money because God says so. It would be the mother of all troll jobs. Some religious people are dumber than others. And you're right, you shalt spot the Majesty of their dumb by the volume of cash. The trouble with most of them is their excuse for being so dumb is "The Lord". And on some level, many are convinced that getting right with The Lord is cold, hard earned dollars. This is how we got megachurches. Thus sprang up the next level of stupid in religion: Dumb people giving dumb preachers money to waste on some grand, wasteful structure that won't last. Pierre gothique lasts. I guess the Lord likes fine masonry more than the average bible-beater. Fire burns through humans like paper. 800 year old towers still standing? Must be the Lord's work.